It’s almost that time of the year again! Universal Studios at Orlando is getting everything ready for one of the scariest months of the year. 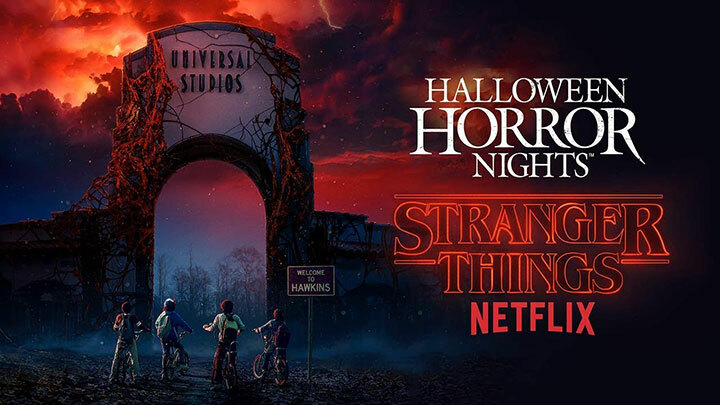 Starting every weekend from September 14 to November 3 and featuring this year’s Stranger Things house, Halloween Horror Nights is already bringing the scary as well as exciting atmosphere to Orlando. After many months of construction, the themed haunted houses are almost ready to open their doors to remain the biggest attraction of this extravagant event. Universal Orlando’s 2018 edition of Halloween Horror Nights will have a record number of haunted houses as the event breaks into 10 houses for the first time. Because of the number of houses and the amount of people that will be present on the occasion, it is almost impossible to visit all in one night. This is why you should definitely get to the park early and plan ahead. Don’t forget to buy a separate ticket for the event (which will not get you into the theme parks during regular hours) and that you visit the attractions that you are most excited about first. Second to the houses are the street experiences, also known as “scare zones”, where you should expect to be terrified by the scary creatures that come out of nowhere and definitely won’t respect your personal space. While most visitors focus on the horror scenes, others are mostly excited about roller coasters. Some of the rides that have been anticipated to be open are: transformers- The Ride 3D, Harry Potter and the Escape from Gringotts, Hollywood Rip Ride Rockit, Revenge of the Mummy, Men in Black Alien Attack, and The Simpsons Ride. If you’re a fright fan and you’re in Orlando any time between late September and Halloween, Halloween Horror Nights is a must-do. Although it seems impossible, the Best Western and Comfort Inn hotels located at International Drive offers you a confortable, relaxed, and welcoming hospitality experience during your stay at Orlando to make this experience even better. Pack your belongings and enjoy one of the scariest and exciting experiences of your life!